Local supplier corporate social responsibility (CSR) in developing countries represents a powerful tool to improve labour conditions. This paper pursues an inter-organizational network approach to the global value chain (GVC) literature to understand the influence of suppliers’ collective behaviour on their CSR engagement. This exploratory study of 30 export-oriented and first-tier apparel suppliers in Bangladesh, a developing country, makes three relevant contributions to GVC scholarship. First, we show that suppliers are interlinked in a horizontal network that restricts unilateral CSR engagement. This is justified in that unilateral CSR engagement is a source of heterogeneity in labour practices; consequently, it triggers worker unrest. Second, we present and discuss an exploratory framework based on four scenarios of how suppliers currently engage in CSR given their network’s pressure toward collective behaviour: unofficial CSR engagement, geographic isolation, size and competitive differentiation, and external pressure. Finally, we show the need to spread CSR homogeneously among suppliers and to reconceptualize the meaning of CSR in developing countries, encouraging more scrutiny toward horizontal dynamics. Although the literature highlights multiple drivers behind corporate social responsibility (CSR) engagement in global value chains (GVCs) (e.g. Gereffi et al. 2005; Lund-Thomsen and Lindgreen 2014), poor labour conditions in developing countries remain a major concern (Brammer et al. 2011). Local suppliers, in particular, play a pivotal role in improving labour conditions through their own CSR (Perez-Batres et al. 2012; Reed 2002; Yawar and Seuring 2017). This is thanks to their ability to aggregate capital (Naeem and Welford 2009; Welford and Frost 2006), and to replace, or complement, weak local or national governments (Mair et al. 2012; Rahim 2017; Visser 2008). Despite the importance of suppliers, there is limited research on their CSR engagement1 in general (Lund-Thomsen and Lindgreen 2014; Yawar and Seuring 2017), and particularly on how horizontal dynamics shape their CSR engagement. Differently from vertical chains, defined as ‘the trail of products upstream to sites of production’ (Neilson and Pritchard 2010, p. 1834), horizontal dynamics represent the interlinked and contextual relations among suppliers in the same industry (Posthuma and Nathan 2010). They are significant because they govern suppliers’ relationship with each other (Niforou 2015). This lack of scrutiny is problematic, since such horizontal influence is increasingly recognized as central to understanding labour conditions in GVCs (Lund-Thomsen and Coe 2015; Niforou 2015). What is the effect of suppliers’ collective behaviour on their own individual CSR engagement? How can CSR engagement be increased among suppliers in the apparel industry of a developing country context? Empirically, we draw on in-depth and explorative fieldwork on 30 first-tier, export-oriented apparel suppliers in Bangladesh. The apparel industry in the GVC literature is archetypal due to its implications for labour’ rights (Giuliani 2016; Merk 2014). More specifically, Bangladesh symbolizes a fundamental area of scrutiny, in light of scathing criticism of its poor labour conditions (Belal and Roberts 2010; Huq et al. 2014; Rahim 2017) and in parallel with its undisputed importance as an apparel industry supplier (Fontana 2017). We make three main contributions to the GVC literature. First, we show that suppliers in developing countries belong to a horizontal network which can, through normative pressure, lead to pursuit of collective behaviour aimed at preventing unilateral CSR engagement and labour unrest. Conceptually, we contend that studies on labour conditions in GVCs have relied too much on a vertical paradigm and fail to consider the influence of this horizontal network. The network represents a shared social resource for suppliers and a mechanism for industry-wide governance. Second, we set forth an exploratory framework entailing four scenarios for when CSR engagement is possible: when suppliers (1) do it unofficially, (2) do it in isolation, (3) are larger in size and force their network to embrace it, and (4) acquiesce to external actors, such as buyers and trade associations. Third, we advocate ensuring CSR engagement homogeneously in the network. This is achievable by creating awareness through wider circulation of information on CSR benefits, in conjunction with reconceptualizing the meaning of CSR engagement in developing countries in light of the need to consider horizontal dynamics and sociocultural variables. In particular, we define CSR as those discretionary corporate practices that engender social benefits for the labour force and the local community, beyond compliance to standard certifications and imposed codes of conduct (Jayasinghe 2016; McWilliams and Siegel 2001). This can be constituted by workers’ higher financial benefits that are not compulsory by law, such as wages and/or insurance, but also extra facilities for the workers, such as free of charge canteens and special incentives. Our focus thus differs from the common focus on private regulation and the GVC literature, which generally equates CSR engagement to (private) regulatory compliance (Lund-Thomsen and Lindgreen 2014; Sharmin et al. 2014; Yawar and Seuring 2017). The remainder of this paper proceeds as follows. First, we present the theoretical background. After an overview of drivers of supplier CSR engagement in GVCs, we incorporate the inter-organizational network viewpoint of the GVC literature to justify expansion of collective behaviour in supplier networks. Second, we provide a descriptive account of Bangladesh as our research context. Third, we present our methodology, elaborating on our research design, theoretical sampling and data analysis. Fourth, we unveil our findings, then discuss our main contributions to the GVC literature, including recommendations on CSR engagement in developing countries. Finally, we present concluding remarks, with attention to the paper’s limitations and suggestions for future research. Supplier CSR engagement in developing countries is often viewed as a by-product of external pressures (Gereffi 1994; Lund-Thomsen and Lindgreen 2014; Rahim 2017), especially from buyers’ vertical impositions (Acquier et al. 2017; Foerstl et al. 2015; Gereffi et al. 2005; Ponte and Gibbon 2006). However, the GVC literature shows that CSR engagement can generate market advantages (e.g. Gereffi et al. 2005) in addition to their being undertaken for ethical reasons (e.g. Bansal and Roth 2000). CSR engagement is presented as bringing advantages in dealing with buyers and reducing suppliers’ power asymmetry (Hoejmose et al. 2013). By actively engaging in CSR, suppliers are more likely to nurture buyer trust, strengthening the relationship (Aßländer et al. 2016; Pagell and Wu 2009). Roberts (2003), for instance, postulates that apparel suppliers can exploit CSR engagement as a vehicle to glean buyer approval. Likewise, active CSR engagement allows suppliers to gain a stronger reputation in the market, attracting potential customers (Brammer et al. 2011; Hoejmose et al. 2014). Further, CSR engagement can attract skilled labour (Greening and Turban 2000). CSR engagement in developing countries has been studied for its positive effect on employee motivation (Jayasinghe 2016), helping local manufacturers consolidate their reputations within local communities (Jamali and Mirshak 2007). This is particularly important in apparel GVCs, where suppliers face continuous struggles to overcome shortages of skilled employees (Fernandez-Stark et al. 2011; Jayasinghe 2016). In addition, it is argued that CSR engagement is a tool for innovation thanks to improved operational performance (Pagell and Wu 2009). Fontana (2017) studies Bangladeshi executives in apparel GVCs and demonstrates that CSR engagement leads to strategic value when associated with functional upgrading. In a similar vein, Foerstl et al. (2015) highlight that suppliers can increase their competitiveness when integrating CSR with their product offerings. However, much less scrutinized in the GVC literature are the reasons behind lack of CSR engagement among suppliers. Neilson and Pritchard (2010) set forth a critical counter-argument of the vertical paradigm of CSR. These authors underscore that supplier CSR engagement coordinated by buyers is in conflict with regional norms, underlining the weak scrutiny of suppliers’ horizontal behaviour. There exists, in fact, little recognition of the horizontal dimension in developing countries, especially with regard to the influence of suppliers on each other (Lund-Thomsen and Coe 2015; Neilson and Pritchard 2010; Niforou 2015). Pursuant to inter-organizational network scholarship, firms are interconnected in networks, linked horizontally by social ties (Astley and Fombrun 1983; Borgatti and Foster 2003). These ties have been long scrutinized under a sociological and structuralist viewpoint due to their influence on corporate decision-making, explaining divergence with rational market theory (Granovetter 1985). A network’s strength inheres in its constituents’ ability to coordinate and take joint decisions (Borgatti and Foster 2003). Firms participate in their networks by pursuing collective behaviour and cooperating, as opposed to acting unilaterally and self-interestedly (Håkansson and Johanson 1988). Collective behaviour represents a self-organized business governance mechanism that replaces third-party intervention and aims to benefit constituents (Börzel and Risse 2010). Suppliers’ collective behaviour in the GVC literature has been studied with particular reference to developing countries’ industrial clusters, stressing its importance in gaining inter-organizational trust (Knorringa and Nadvi 2016), and as system of social relations (Schmitz and Nadvi 1999). Schmitz (1999), for instance, introduces the notion of collective efficiency as a by-product of collective behaviour, driving competitive advantage among developing country suppliers. In contrast, unilateral action amounts to ethical misconduct when it alters negatively the inter-organizational environment (Melé 2009). The implications of collective behaviour in the GVC literature, however, are studied mainly with respect to economic payoffs rather their effect on labour conditions (Gereffi and Lee 2016; Nadvi 1999). It is, thus, interesting to extend these findings beyond economic payoffs into the realm of CSR engagement. As derived by inter-organizational network scholarship, three conditions can encourage collective behaviour in the network: (1) high corporate density, (2) social norms and (3) shared resources. Density represents the number of social ties linking network constituents. Sociologists have observed that dense inter-organizational networks favour collective behaviour because of individual constituents’ effect on decision-making (Marwell et al. 1988). Due to interdependency, dense networks make independent and deviant behaviours more easily detectable (Coleman 1988), increasing vulnerability and turbulence (Astley and Fombrun 1983). Hence, network organization scholars have studied density as a vehicle for inter-firm cooperation and benefits (Munksgaard and Medlin 2014). Although there exists several viewpoints that oppositely defines network density, especially in the cluster literature (e.g. Lund-Thomsen et al. 2016), in the GVC literature, density equals geographic proximity. According to Gereffi et al. (2005), geographic proximity increases transactions among suppliers and enhances collective behaviour. Proximity has been theorized as nurturing a cluster effect and economic development (Schmitz and Nadvi 1999), which comprises corporate performance and recovery (Rabellotti 1999), competitiveness (Nadvi 1999) and cooperation (Knorringa and Nadvi 2016; Lund-Thomsen and Nadvi 2010). Further, actors’ collective behaviour is influenced by social norms, which hinge on local traditions and beliefs shared among network constituents (Frost and Egri 1991), perceivable during tacit arrangements (Astley and Fombrun 1983). Social norms allow network constituents to collectively regulate themselves (Cialdini and Trost 1998; Granovetter 1985) and to share their obligations (Coleman 1988). Social norms take form of normative pressure toward collective behaviour and alignment, including CSR engagement (Neville and Menguc 2006; Santana et al. 2009). According to Gould (1993) for example, networked businesses fear being ostracized and avoid unilateral action if this harms their peers. Likewise, both Frost and Egri (1991) and Elg and Johansson (1997) contend that social norms can be used to ensure collective behaviour in the network by presenting the status quo as inviolable. The GVC literature shows that social norms differ in accordance with geographic location or social group (Gereffi et al. 2005), and that they are central in governing relationships in developing countries (Jamali and Karam 2016; Muthuri et al. 2009). On the positive side, social norms are inherently fair and reciprocal, antecedent to CSR engagement and ethical behaviour (Millar and Choi 2009). Generally, they limit unilateral action when this is perceived as harmful to other network constituents, imposing fear of retaliation (Melé 2009). Social norms are often traceable to religious roots, especially in the developing world. Pursuant to Williams and Zinkin (2009), social norms in predominantly Muslim countries determine societal commitment, since Islamic religious instructions per se exceed the international guidelines advanced by the United Nations Global Compact pillars. The Zakat, for instance, requires firms to donate, annually, 2.5% of their net profit to the poor, even though the proofs of these payments remain unregistered and hardly assessable (Jamali et al. 2009). Jamali’s (2007) example of business-sponsored art festivals in Lebanon demonstrates that CSR engagement has strong philanthropic roots. Social norms can also limit CSR engagement. Mezzadri (2014) demonstrates that community relations in developing countries may be rooted in secular structures of power and patronage. Giuliani’s (2016) link of community-wide behaviour to cultural relativism explains that ethnic values may lead firms astray from CSR engagement. Likewise, the interpretation of ethics among Muslims varies, leading to different behaviours vis-à-vis CSR engagement (Williams and Zinkin 2009). Third, much of the inter-organizational network literature scrutinizes a network’s collective behaviour stemming from shared resources (Elg and Johansson 1997; Munksgaard and Medlin 2014). Munksgaard and Medlin (2014) pinpoint that sharing resources boosts a ‘network effect’ which yields greater value than what a firm alone would create, benefitting all parties. Pursuant to this viewpoint, acting collectively fosters relationships and enhances best-practice performance (Daboub and Calton 2002). The Davies (2009) example of collaboration among fair trade producers in GVCs demonstrates that sharable resources motivate collective behaviour. There are numerous shared resources. Labour, for instance, has attracted much attention in GVCs. Welford and Frost (2006) portray the case of developing country workers who migrate from remote areas to industrial areas to seek employment. They are shared from one factory to another, with the hope of increasing their salary and skills. Other shared resources include the value of social relations for innovation (Gereffi and Lee 2016; Nadvi 1999) and information exchange (Rabellotti 1999). Shared knowledge through information exchange, in particular, increases awareness about others’ decision-making in the network, favouring collective behaviour and potentially leading to a wider understanding of ethics (Millar and Choi 2009). In sum, density, social norms and shared resources encourage collective behaviour, depending on the context. Bangladesh is a developing country, inhabited by a predominantly Muslim population of 152.1 million in a limited area of 146,460 km2 (CIA 2016). Bangladesh acquired its independence from Britain in 1947 but gained full freedom only in 1971 after the liberation war with Pakistan (Belal and Roberts 2010). Albeit reaching the UN Medium Human Development Category, 75.6 million Bangladeshis (49.5% of its population) live under the multidimensional poverty bar, which includes income, schooling and access to potable water (UNDP 2015). Bangladesh remains the least developed country in South Asia (Rahim and Alam 2014; Siddiqui 2010), characterized by a traditional society where political power is retained in the hands of a few families and a limited capitalist class (Uddin and Choudhury 2008). Most Bangladeshi firms are family-owned (Siddiqui 2010), control the country’s media (Rahim 2017) and are weakly regulated (Mair et al. 2012). Fieldwork with local executives in Bangladesh’s apparel supply chain (Fontana 2017) and corporate surveys (Naeem and Welford 2009) corroborate the increasing attention on CSR engagement. On the other hand, Bangladeshi firms’ self-regulation and lack of formal disclosure are accused of facilitating evasion of CSR (Belal and Roberts 2010; Rahim 2017). Despite its market advantages (Fontana 2017), CSR engagement in the Bangladeshi apparel industry is conventionally attributed to pressure from foreign markets (Belal and Roberts 2010), mainly international buyers (Islam and Deegan 2008). Although social norms in Bangladesh are often overlooked by international buyers (Belal and Roberts 2010; Reed 2002), they are attributable to Muslim teaching. This drives a de facto informal and philanthropic type of CSR engagement. The Bangladeshi apparel supply chain is well-suited for CSR studies due to its continuous labour problems and need for social improvement (Soundararajan and Brown 2016). Bangladesh is today preferred by 81% of international apparel buyers due to its production capabilities and low prices (BGMEA 2016a). However, its 4 million apparel workers face difficult issues, such as gender inequality, child labour, lack of representation (ILO 2015a; Labowitz and Baumann-Pauly 2015; Naeem and Welford 2009) and grievances driven by their migrant backgrounds (Welford and Frost 2006). Poor health and safety measures account for the lion’s share of criticism, particularly after the Rana Plaza cataclysm in 2013 (ILO 2015b; Rahim 2017). As wages remain among the lowest worldwide (Siddiqui 2010), foreign-led initiatives to improve labour conditions have seen a recent upsurge (Berg et al. 2011, 2013; Needham 2015). These are supported by the Bangladesh Garment Manufacturers and Exporters Association (BGMEA) and Bangladesh Knit Manufacturers and Exporters Association (BKMEA). These two organizations hold the ability to politically influence labour practices (Islam and Deegan 2008) and have an active role in promoting CSR engagement in Bangladesh. This paper adopts a qualitative and interpretative approach, as suits scrutiny of organizational phenomena such as CSR engagement (Bluhm et al. 2011). Primary data for the empirical analysis were collected in two rounds, in August 2015 and August 2016. The fieldwork amounted to 32 in-depth, open-ended and semi-structured interviews administered with 30 suppliers (Table 1), completed by the first author of this paper. Fieldwork in ‘hybrid’ postcolonial contexts such as Bangladesh comprises personalities with diverse attitudes, behaviours (Angrosino and Rosenberg 2011) and understanding of business ethics (Liedtka 1992), increasing the need for face-to-face discussions. Although respondent job titles are reported, suppliers are assigned numbers to guarantee corporate anonymity. Although only two interviews with suppliers from August 2015 were ultimately added to the sample, this first fieldwork served to test the cogency of the interview protocol and the feasibility of the study. The importance of conducting preliminary research is justified by the ‘messy and episodic’ journey that characterizes qualitative data collection (Eisenhardt et al. 2016), including a reflexive account and the unfolding of real-time situations (Bluhm et al. 2011). The bulk of data were gathered throughout August 2016, with 30 interviews executed for 28 firms. 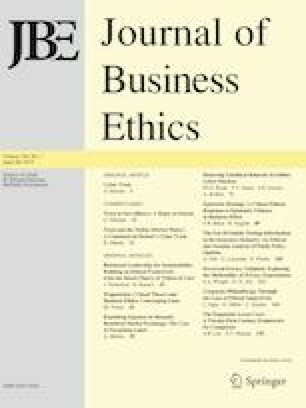 Because there are no official and comprehensive indicators of CSR measurement (Yawar and Seuring 2017), and since top managers in apparel GVCs hold decision-making power over CSR engagement (Park and Stoel 2005), only the top management of each supplier firm was selected for the interviews. These managers were often interviewed in pairs, with one or two additional managers, providing a good balance between small group and individual context (Ritchie et al. 2013). One interview included a former BGMEA president (BGMEA 2016a) and owner of one of the firms in the sample. All interviews were conducted in English. Table 1 lists all suppliers and gives their (1) size, (2) managers interviewed, (3) location, (4) group belongingness (whether they are a unit of a larger group), (5) production and (6) geographic isolation (suppliers with at least 20 km distance from any other apparel supplier). Approximately 78 independent suppliers were identified in spring 2016 and contacted first via e-mail, then telephone. Although acquiring the contacts was facilitated by the support of local personnel in Bangladesh, reaching all potential interviewees required approximately two months. Twenty-eight suppliers ultimately accepted a visit and sat for an interview (35.8% response rate), in addition to the two suppliers already interviewed in August 2015. Pursuant to theoretical sampling (Eisenhardt et al. 2016), supplier appraisal for the purpose of sample building was subjected to rigorous criteria. By virtue of the selected CSR definition as ‘beyond compliance’, the 78 independent suppliers identified must first be included in the list of the Accord, and their first contact information was retrieved from the Accord’s list. The Accord is a multi-stakeholder organization that ensures compliance with health and safety standards, incorporated following the Rana Plaza disaster (Accord 2016a). The publicly available Accord lists all suppliers scrutinized and those that had already reached compliance (Accord 2016b). Further, due to the fact that CSR engagement is often observed in large firms (Visser 2008), supplier selection must fit a wider size-continuum. This increases the sample’s representativeness and depth of insight. The final sample comprises suppliers ranging from 300 to 10,000+ employees. In addition, it is very important to ascertain reachability. Out of the final 30 suppliers that accepted to be interviewed, 26 factory premises were visited in situ, mostly located in Upazilas (sub-regions) requiring on average 2–4-h car drive from Dhaka city. Direct observance of facilities adds veracity to the interview material. Only four supplier representatives were interviewed in their Dhaka offices, given the difficulty of reaching their facilities. Finally, all suppliers must be first-tier (selling to international buyers) and have an export license, which in Bangladesh requires membership in BGMEA and/or BKMEA (BGMEA 2016b; BKMEA 2016). Interviews were recorded, transcribed, systematically examined and coded. Each interview lasted between 40 and 150 min, with an average of 85 min (excluding time for factory observations). Interviews accrued to over 175,000 transcribed words. Coding was operationalized through a two-way procedure. First, it was manually executed after completion of each transcript, singling out text segments within a separate Excel file. While using the gleaned data to refine and finalize code selection, each transcript went through an additional process of iterative proofreading, followed by final digital coding using Nvivo, a qualitative data analysis computer software package. In line with the Gioia et al. (2013) method, the coding process was divided into three critical steps. First, the interviews produced approximately 50 first-order categories of open codes, broad and unidentified. These codes label indicative phenomena, such as ‘providing support during crisis’, ‘community feeling’ or ‘fear of neighbour’s reaction’. Second, a process of axial coding grouped the 50 first-order categories into 8 s-order themes. This allowed grouping and explaining the phenomena theoretically. Third, two aggregate dimensions were created comprising the eight second-order themes. The second-order themes and aggregated dimensions are outlined in Table 2. As confirmatory analysis, transcribed interviews were triangulated with 1) more than 20,000 words of documented observations executed in situ at each factory visited, comprising memorandum material and reflective writings on individual interactions with interviewees, and 2) secondary online data. Triangulation not only allows for greater data reliability and construct validity (Bluhm et al. 2011), itself substantiating the grounding of emergent theories (Eisenhardt 1989), but also allows checking for social desirability bias during interviews, whose likelihood is higher for sensitive arguments exposed in local contexts (Zerbe and Paulhus 1987). Notes and observations were compiled immediately after each interview, illuminating the empathic views of interlocutors who are part of the suppliers’ network under examination (Angrosino and Rosenberg 2011). With reference to secondary online data, 21 of 30 suppliers (70%) had their own corporate websites, 5 suppliers (16.7%) had a page dedicated to social activities in general, with only 2 suppliers (6.7%) providing in-depth information on CSR engagement for their workers. These data served two important functions. First, it completed suppliers’ standard information, acting as an indicator of plausible divergence from what was presented offline, in line with Angrosino and Rosenberg (2011). Second, it provided useful information for the creation of aggregate theme B, with particular reference to second-order themes 5 and 7. Our findings are presented in two sections. The first sheds light on suppliers’ collective behaviour toward CSR engagement. This is applied in Bangladesh to ensure labour practice homogeneity among suppliers, discouraging unilateral CSR engagement through normative pressure, including direct (through communication among suppliers) and indirect (through workers’ word-of-mouth) flows of CSR information. The second section presents an exploratory framework based on four scenarios for CSR engagement. Table 3 shows a summary of supplier behaviour vis-à-vis CSR engagement, analysed by size. In terms of our first research question, the first findings show that Bangladeshi suppliers constitute part of a horizontal network in which they behave collectively, nurturing cooperation and trust through social relationships. Their cooperation is justified by the need to secure friendly and durable relationships within their networks. Surprisingly, we find that collective behaviour prevents suppliers from unilaterally engaging in CSR, promoting homogeneous labour practices through normative pressure. In the sample, 22 suppliers (73.3%) confirmed behaving collectively while ensuring their alignment to others’ labour practices. In particular, 24 suppliers (80%) accused unilateral CSR engagement of de facto igniting a climate of worker unrest and boycotts in surrounding factories, potentially destabilizing the entire network; they attributed this to labour practice heterogeneity among suppliers. CSR as a unilateral engagement was believed to coerce all surrounding factories to apply the same practices. The inability to similarly engage in CSR would result in having to close these factories. The quote below exemplifies the perceived danger arising from unilateral CSR engagement in the network, such as providing free lunch as an extra benefit. Table 4 presents nine additional quotes from various corporate representatives, defining ‘the perils’ of unilateral CSR engagement. With reference to our second research question, our findings suggest four specific scenarios specifying how supplier CSR engagement can be increased in the Bangladeshi apparel industry, disregarding the normative pressure of the network’s collective behaviour. As shown by the exploratory framework in Fig. 1, suppliers engage vis-à-vis CSR individually by (1) doing it unofficially, (2) doing it in isolation, (3) being larger in size and imposing it on the network and 4) by acquiescing to external actors, such as buyers and trade associations. By virtue of the network’s collective behaviour, only 8 (26.7%) suppliers engaged in CSR while officially reporting it. All 22 remaining suppliers (73.3%) admitted to engaging in CSR but unofficially, that is, without divulging it and avoiding exercising influence on others. Only Firm 25 claimed to be engaging in CSR unofficially, however, on a large scale and with the altruistic purpose of influencing others. Nevertheless, the shortcoming of unofficial CSR engagement is scalability. Suppliers admitted that unofficial CSR engagement allows them to remain unnoticed, but it only allows limited increases in workers’ benefits. Unofficial CSR engagement was deemed particularly difficult when addressing considerable increases in workers’ wages and extra facilities. Large contributions might lead to unrest because of the indirect communication through workers’ word-of-mouth, as instantiated by the quote below. Table 5 displays a summary of five quotes showing unofficial CSR engagement in Bangladesh. An argument in defence of the high number of suppliers that claimed to engage in CSR unofficially stems from the Muslim roots of Bangladesh, which deeply affect the country’s social norms. According to these norms, a strong stigma applies to those who (1) divulge information about their donations and/or (2) do not contribute to religious offerings, comprising donations to the mosque and the poor, as described by Jamali et al. (2009). Arguably, this generates a problem of information authenticity. The Bangladeshi suppliers interviewed declared engaging in CSR as part of their religious principles and social norms. However, it was hard to assess which suppliers really engaged in CSR unofficially due to religion, and which ones exploit religion to avoid engaging in CSR. The quote below confirms the Williams and Zinkin (2009) postulate that Islamic preaching is variably observed, even within the same context. Our findings suggest that suppliers engage in CSR without being subject to their network’s demand for collective behaviour when suppliers are positioned in geographically isolated zones with no other factories in the vicinity. Three of the four (75%) geographically isolated suppliers interviewed emphasized their liberty of decision-making, including on CSR engagement. Their justification was the lack of shared workers and boundaries with other apparel factories. Table 6 lists six quotes from suppliers acknowledging freedom of decision-making in cases of geographic isolation. However, geographic isolation was also identified as troublesome. In fact, being next to other apparel factories provides an array of advantages for suppliers (e.g. Knorringa and Nadvi 2016). Although geographic isolation increases suppliers’ freedom of decision-making, collective behaviour and proximity to others guarantees support on a variety of problems, including but not limited to labour issues. These findings imply that working autonomously in geographically isolated areas leads to operational challenges. These include resource acquisition, ranging from securing and training a workforce to gaining access to power sources (e.g. gas and electricity). Interestingly, our findings also show that larger suppliers’ coercing of CSR engagement along the network causes tension between (1) aligning to the collective behaviour of the network to secure cooperation and social relationships and (2) engaging in CSR to gain competitive differentiation with buyers and labour. One implication of this tension is fear and reluctance toward unilateral CSR engagement, which drives larger suppliers to move toward CSR while also seeking alternative solutions for its eventual impact. This is well elucidated by the quote below. Our findings show that suppliers engage in CSR in Bangladesh when driven by buyers and/or industry associations (BGMEA and/or BKMEA). Twenty-one suppliers (70%) asserted that buyers have a strong impact on CSR engagement. Some particularly large international buyers in Bangladesh are now encouraging CSR engagement in exchange for volume-based incentives, as described in the quote below. Due to collective behaviour among suppliers, our evidence shows that buyers, BGMEA and/or BKMEA need to ensure that labour practices are applied homogeneously among suppliers that are in proximity to each other. To avoid conflict, however, all suppliers in the sample who engage in CSR officially also revealed that (1) their buyers have an interest in their CSR and (2) they are surrounded or nearby other suppliers who have relationships with the same buyers and therefore receive the same demands and incentives to engage in CSR. This increases suppliers’ belief that their network will not be damaged because of CSR. Table 7 shows three additional quotes on CSR driven by external pressure. Our paper extends the scrutiny of CSR engagement in the GVC literature by detailing an in-depth and horizontal study of suppliers’ collective behaviour on CSR engagement in the Bangladeshi apparel industry. We attempted to convey a new starting point by arguing for the usefulness of integrating an inter-organizational network lens to understand the horizontal implications of the supplier network on CSR engagement, in line with Santana et al. (2009). We find that collective behaviour limits unilateral CSR engagement, leading to significant implications for the role of business in society. This exploratory framework encompasses four scenarios of current suppliers’ CSR engagement in developing countries, including their implications. In this section, we revisit our findings while expanding on the theoretical background presented earlier. Our first contribution and answer to our first research question reveals novel insights on suppliers’ collective behaviour and their effect on CSR engagement in GVCs. We show that behavioural heterogeneity links to turbulence and instability among local players, in line with organizational scholars (e.g. Astley and Fombrun 1983). To recapitulate, we show that export-oriented, first-tier suppliers in developing countries are part of a horizontal network. As network constituents, they foster collective behaviour and cooperate against unilateral CSR engagement, interpreted as an exogenous threat because of the resulting heterogeneity of labour practices, resulting in worker unrest. This confirms the Melé (2009) argument that not adhering to the network’s collective behaviour of inter-party exchange creates imbalance; all constituents’ participation is required, and CSR engagement can be achieved when executed collectively. Our evidence holds two main implications. First, the vertical focus in the GVC literature that assumes that CSR engagement is ‘driven’ by buyers to suppliers (Fernandez-Stark et al. 2011; Gereffi 1994; Ponte and Gibbon 2006) is conceptually myopic. Our findings show that this ignores the collective and horizontal dynamics existing among local business players and only partially explains their decision-making on practices such as CSR. Perhaps this also provides some justification for the poor results on buyer-driven CSR engagement (Lund-Thomsen and Lindgreen 2014). Our findings thus extend the Lund-Thomsen and Coe (2015) and Niforou (2015) claim about horizontal analysis in GVCs, showing that supplier networks can be specifically used as vehicles to study how the horizontal dimension influences CSR engagement. Second, our study demonstrates that supplier networks represent a shared resource for social protection. Extending the understanding of collective behaviour in GVCs resulting from geographic density (Knorringa and Nadvi 2016) and awareness through information exchange (Rabellotti 1999), our study delineates this behaviour as a social control mechanism against external threats and political instability. Undoubtedly, GVCs in the developing world resemble difficult environments, characterized by limited statehood and buyers that ravage the market with bottom-line prices, as demonstrated by Anner (2015) and Fontana (2017). Specifically in Bangladesh, media attacks on suppliers, third-party inspections and buyers’ imposition of private regulations following Rana Plaza (Accord 2016a) have reinforced supplier solidarity with each other. Collective behaviour on CSR engagement is ensured through normative pressure, information gained through direct and indirect communication, and acts as a self-established social control mechanism to ensure network stability. This also conforms with the Schmitz and Nadvi (1999) and Börzel and Risse (2010) arguments that social relationships replace other forms of governance, adding that collective behaviour is stronger the higher are the perceived threats from the external environment, as in the case of CSR. Our second contribution to the GVC literature and answer to our second research question goes to the understanding of CSR engagement in GVCs; we synthetize this in three discussion points. First, our findings demonstrate that most suppliers act in support of their workers by engaging in CSR unofficially. While it is difficult to fully assess the extent of unofficial CSR engagement, as noted by Jamali et al. (2009) and Williams and Zinkin (2009) on the dichotomy between religious claims and practice, we observed a strong human dimension among suppliers’ top managers. This manifests as social, discretionary and philanthropic proactivity, inhering in cultural and religious beliefs often unaccounted for or understated in the literature. Second, we reveal that the effect of suppliers’ collective behaviour on CSR engagement is geographic. The issue of network density put forth by organizational scholars (Borgatti and Foster 2003) dovetails well with supplier network in developing countries. We observe, in practice, that the influence on supplier CSR engagement is amplified the closer suppliers are to each other. On the contrary, it dissipates with distance. This finding is in line with the Gereffi et al. (2005) argument of geographic proximity as a source of frequent interactions and leads to two implications. Isolated suppliers are less subject to their network’s normative pressure, and their CSR engagement has limited effect on others. Although increased distance from others also leads to operational challenges due to less sharable resources (e.g. Davies 2009; Knorringa and Nadvi 2016), CSR engagement can be more easily achieved, for instance in rural areas, where corporate density is low. Given the operational difficulties in operating in geographically isolated areas though, this raises an additional question: how much do firms value freedom in exchange for their peers’ social support? We believe that the answer lies in the trade-off between the long-term advantages of decisional autonomy, including CSR, and the disadvantages of giving up the network’s support. Currently, the quest for freedom in decision-making materializes in what Schmitz and Nadvi (1999) refer to as clusterization of supplier networks, to which we add the importance of size. More generally, we note in Bangladesh that larger suppliers tend to group next to each other, but at a distance from smaller ones. Likewise, the areas where smaller suppliers are located rarely include larger firms. Arguably, this limits the turbulent effect of firm CSR engagement on the network and allows us to reformulate the Mezzadri (2014) claim that suppliers in different regions or areas are part of the same and unique network, with geographic isolation weakening their mutual influence. Concomitantly, it can then be theorized that the supplier network is composed of several industrial areas or clusters, and that the network allows different types of CSR engagement in each area, so long as homogeneous types of CSR are implemented in a given area. Third, we provide an evaluation of the effect of corporate size on the limits of market-driven CSR. Larger suppliers understand CSR engagement in competitive terms and engage in it officially, clashing with the network’s collective behaviour. Differently from the Acquier et al. (2017) CSR cost model, we note that tension lies between the market pressure to engage in CSR for competitiveness against social pressure from the network to cooperate without engaging in CSR unilaterally. Most larger suppliers in our study claimed to somehow ‘fear’ the effect of their CSR, referring to their business network as their ‘business community’. The latter, which we more generally label here as a network, adheres to the Jamali and Mirshak (2007) description of shared environment, in which constituents’ legitimacy and credibility hold particular relevance as social players. By doing so, we advance the Neilson and Pritchard (2010) argument that smaller manufacturers in developing countries depend on their social circle for support, showing the importance assigned to it by smaller and larger suppliers alike. We conclude that what is neglected in the literature and what suppliers find problematic is not CSR engagement per se, but its ad hoc and heterogeneous execution. Direct and indirect communication (e.g. workers’ word-of-mouth) makes engaging in CSR difficult to conceal. Our recommendations, therefore, stress the need to ensure CSR integrity among all network constituents. From a practical standpoint, we believe that there is a critical need for wider circulation of CSR information. This includes spreading awareness of the implications of CSR engagement. We note that rejection of CSR engagement is driven by misconceptions about its positive effect for firms and labour alike. This is exacerbated in Bangladesh, perhaps, by the confusion caused by the vertical imposition of different buyers’ private regulations. In our view, it is imperative to make a more convincing argument in favour of CSR engagement. Suppliers need not only to be persuaded, but also convinced about CSR’s benefits. This can be achieved by educating them and spreading information on CSR engagement homogeneously along the network, including a wider number of corporate participants, horizontally. More seminars, presentations, round-tables and wider discussions on the topic of CSR among suppliers are necessary. These are currently held by a very small number of particularly large buyers and address only a few participants, typically larger suppliers. One approach is to have buyers work more closely with industrial organizations, such as BGMEA and BKMEA in Bangladesh, and create a collective understanding of how CSR engagement can be informed on a larger scale. This would also serve as potent tool to avoid tension and political conflicts in the future. In addition, we highlight the need to reconceptualize and extend the CSR paradigm to allow its applicability in developing countries. Undoubtedly, engaging in CSR remains extremely important to improve labour conditions in GVCs. Even if most doubts cast on the limits of CSR engagement pertain to its avoidance and voluntary nature (e.g. Lund-Thomsen and Lindgreen 2014; Soundararajan and Brown 2016), we see a lack of understanding from international buyers and scholars on contextual contingencies. Arguably, the lack of CSR engagement cannot be ascribed merely to cost-saving (see Merk (2014)) or local managers’ personal inclination toward their workers. We must consider the network effects which may limit CSR engagement as well. As currently formulated, CSR represents a largely one-size-fits-all concept anchored in Anglo-Saxon traditions. Our findings show that, suppliers in developing countries are embedded in a context of opposite traditions and sociocultural variables that must be considered if CSR is to find local credence. Our findings thus agree with the Jamali and Karam (2016) assumption that CSR in the developing world is ‘hybrid’ in the way it is perceived and engaged, and must be treated distinctively. While current labour conditions in GVCs often are loathsome and unacceptable and claim that strengthening supplier decision-making would worsen them (e.g. Hoejmose et al. 2013), along with assumptions that suppliers aim to exploit workers (e.g. Rahim 2017), are widespread, a more critical analysis is perhaps needed. Our study poses a counter-argument, positing that in developing countries (1) horizontal dynamics shape supplier behaviour vis-à-vis CSR engagement and (2) a strong philanthropic sense persists among local suppliers. Both these factors are often understated, and we strongly recommend their concurrent consideration when studying CSR engagement. Local suppliers are central to developing countries’ economic development, but also to the provision of social benefits (Naeem and Welford 2009; Welford and Frost 2006). Our study represents a novel attempt to show how suppliers’ horizontal influence on each other shapes their CSR engagement. Based on a study of first-tier, export-oriented apparel suppliers in Bangladesh, we demonstrate that suppliers belong to a network, in which collective behaviour and cooperation prevents unilateral engagement in CSR. The term non sibi, sed omibus (e.g., not for one’s self but for all) has been adopted to emphasize semantically the role of collective behaviour with regard to CSR engagement. While this is rooted in the need to establish long lasting relationships, collective behaviour also finds its justification in the need to avoid worker unrest and boycotts, that is, network instability as theorized by organizational scholarship (Astley and Fombrun 1983; Melé 2009). As such, collective behaviour drives alignment to homogeneous labour practices and is maintained through normative pressures in the network. In turn, it is fuelled by the information shared through direct and indirect communication, making supplier vulnerable to each other. However, we also identify various scenarios and drivers of CSR engagement. These range from engaging in CSR unofficially and in isolation, to imposing CSR on the network due to size and, ultimately, by acquiescing to buyers and trade associations. By building on the Santana et al. (2009) argument that integrating an inter-organizational network lens can be useful for the examination of CSR engagement, we highlight the theoretical importance to develop an alternative to the conventional focus of GVCs on vertical chain (e.g. Fernandez-Stark et al. 2011; Ponte and Gibbon 2006), while stressing the pivotal role of suppliers in improving labour conditions in GVCs. In so doing, we address a gap in the literature (Yawar and Seuring 2017), and hope to stimulate further research into supplier horizontal and collective behaviour in GVCs. Our study has limitations that hold implications for future inquiries. It focuses entirely on first-tier suppliers in GVCs. This is justified by our interest in observe the effect of horizontal relationships among players of the same type and their links to buyers. However, we believe that broadening the focus upstream to examine the relationships among different types of suppliers (e.g. second-tier and third-tier suppliers) may reveal opposite influences and tensions, perhaps providing valuable insight into this field of study. Similarly, additional interviews executed with different stakeholders, including workers, should be implemented to prove the veracity of supplier claims. Further, our study focuses exclusively on apparel suppliers in Bangladesh. However, Bangladesh is a developing country particularly suited to the study of CSR engagement in GVCs. Although we believe that our results provide analytical generalization, replication of this study in (1) different sociocultural and economic contexts and (2) non-apparel industries, may reveal new elements that might enrich or even pose productive counterarguments to our findings. Analogously, such work could also provide additional evidence to the notion of geographic isolation, demonstrating the existence of other relevant contextual variables. Additionally, our study is based on interviews conducted with suppliers’ top managers, given their relevant role as CSR decision makers (Park and Stoel 2005). However, we do not aim to measure managers’ personal and individual attributes, but rather to obtain their corporate opinion. We are convinced that more systematic attention to the micro-dimension of GVCs would benefit the field. This includes, for instance, the presence of cognitive, empathic and emotional antecedents of CSR engagement. As shown by Niforou (2015) and Jamali and Karam (2016), there is a shortage of research at the individual level of analysis in developing countries. Uncovering respondents’ personal histories, inclinations and beliefs might help explicate the dichotomy highlighted by Williams and Zinkin (2009) pertaining to religious claims and practices in developing countries, but also add new insights on the personal interpretation and meaning attributed to CSR engagement. Finally, our study follows a qualitative trajectory. Elaborating on mixed-methods, such as by including a survey run on suppliers, as shown by Jayasinghe (2016), may reinforce understanding of horizontal relationships in GVCs. While this might limit the depth of results, it could broaden their external validity. Despite the challenge of retrieving data in developing countries, respondent-driven sampling could be used to reach a wider array of respondents. As suggested by Brammer et al. (2011), a wider sample could also be obtained by seeking more unorthodox solutions, such as including practitioners from the field who can open up avenues to wider data collection. For notable exceptions on South Asian apparel suppliers, see Jayasinghe (2016) for Sri Lanka, Soundararajan and Brown (2016) for India, Fontana (2017) and Huq et al. (2014) for Bangladesh.